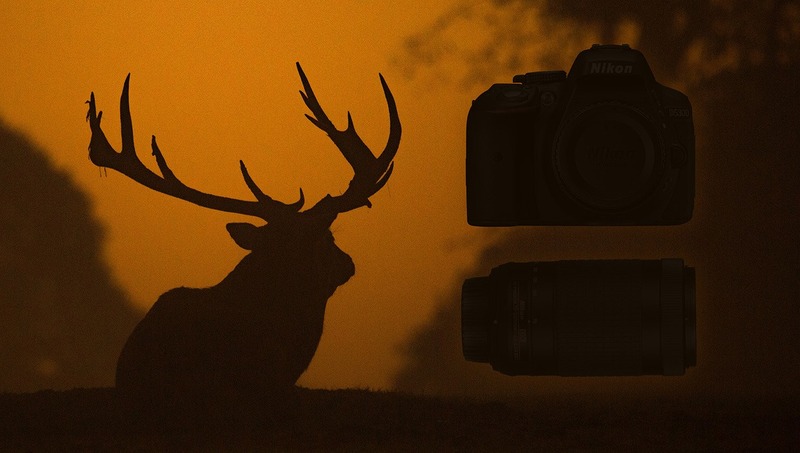 What's the best wildlife photography camera and lens combo for under $500? Here are four different systems to check out. For wildlife photograph in this price range, we are distilling things down to a few essentials. Namely what will be important is facilitating a passion for photographing wild animals, and one way to achieve that through gear is by getting results that are unlike anything you've been able to capture with a smartphone or point-and-shoot camera. Therefore, listed below are mid-range consumer DSLR and mirrorless cameras with worthy specs for wildlife beginners, along with a telephoto lens that calculates to at least a 300mm after the sensor's crop factor is figured in (to make it 35mm equivalent). In this comparison of wildlife kits under $500, I've chosen to stick with used prices. 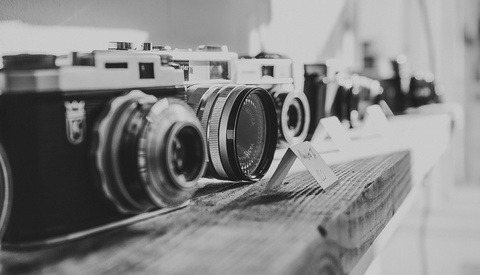 For the sake of getting the best bang for your buck, it's wise to check reputable sellers for their stock of used camera gear. I understand if picking up used gear is a scary thought, but if done right, there should be almost no discomfort when you buy used. That can mean buying from a place that stands behind their used merchandise with returns accepted, lots of photos of the exact item you're getting, a detailed description of its condition, and good communication. If you ever feel like you're taking a gamble on buying something used, back away and keep looking. Buying used gear almost always means getting a better model of equipment for the same price as something not as good but brand new. At this stage where you're hunting for a kit under $500, it means saving a couple hundred dollars, but when the philosophy is taken to the really expensive high-end stuff, it starts to become a matter of saving thousands. I highly recommend getting used to the secondhand marketplace sooner rather than later, especially for wildlife photography. For the pricing of this article, I've decided to go with B&H Photo's used department prices on real items that were in a condition of "8+" or better. B&H generally has average pricing for their used gear that might not be as cheap as eBay, but again they have a solid reputation that allows buyers to still save money while also not taking any big risk. I pulled the prices on March 13, 2019, and while these exact listings might not be there anymore, it's a good gauge for where the market is at for them right now and you should still expect to pay around this amount for the cameras and lenses once you find them. Without further ado, here are four different brand choices to get started with wildlife photography for under $500. 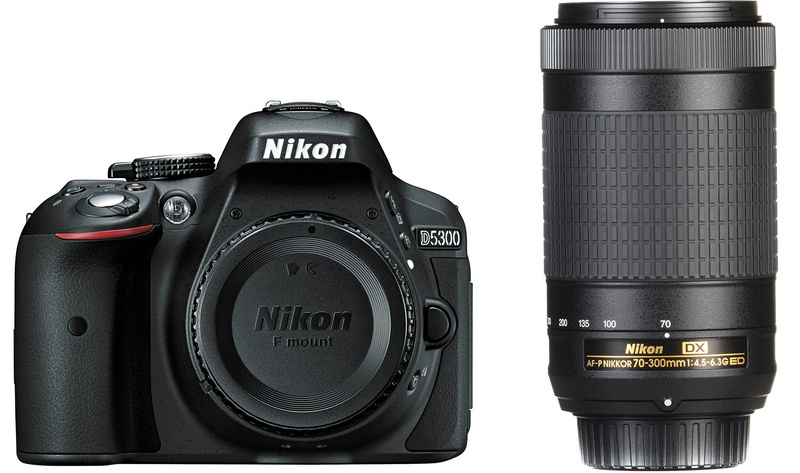 Pros: The Nikon D5300 features a 24.2-megapixel APS-C sensor, which when combined with the NIKKOR 70-300mm at the telephoto end, gives a 450mm equivalent field of view with a healthy amount of photo resolution. The DSLR camera has no optical low-pass filter which means sharper images at the cost of possible moire patterns. Moire patterns are common in fabrics, something a wildlife photographer probably doesn't need to worry about. Cons: The D5300 is only capable of 5 fps continuous burst shooting, which can be harder to hit those exact perfect animal gestures that happen in a fraction of a second. 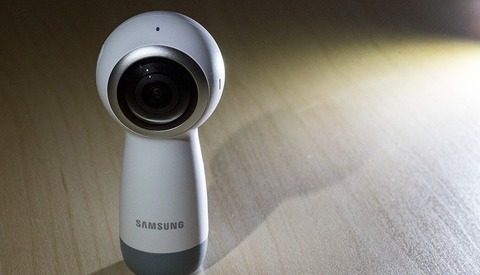 Neither the camera body or lens has optical image stabilization, so there will be greater dependence on higher ISOs and faster shutter speeds to prevent camera shake blurring. Shot with the Nikon D5300 and Nikon AF-P DX NIKKOR 70-300mm f/4.5-6.3G ED lens. 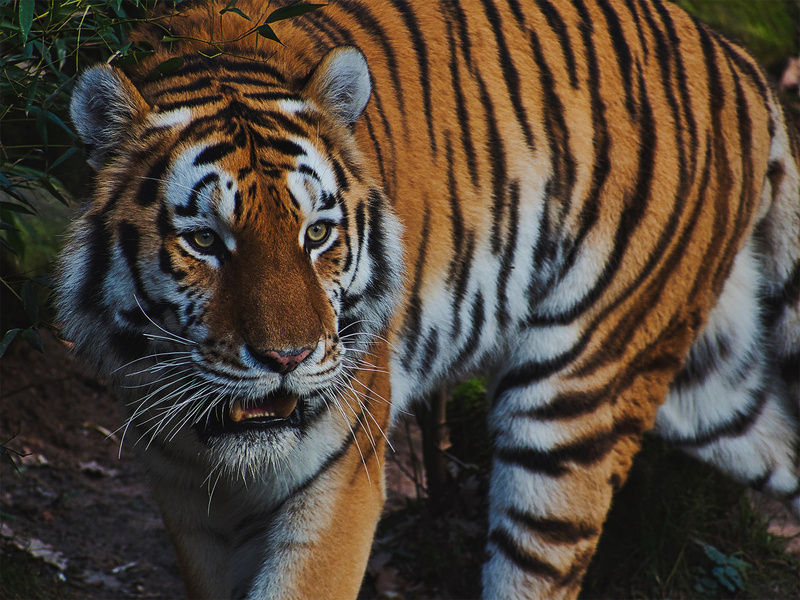 Photo by Matjaž Mirt via Flickr, used under Creative Commons. Pros: Canon APS-C sensors have a crop factor of 1.6x rather than a 1.5x that is typical of other brands. That means just a little more reach, and in this case the 300mm end of the lens becomes 480mm in equivalent field of view. 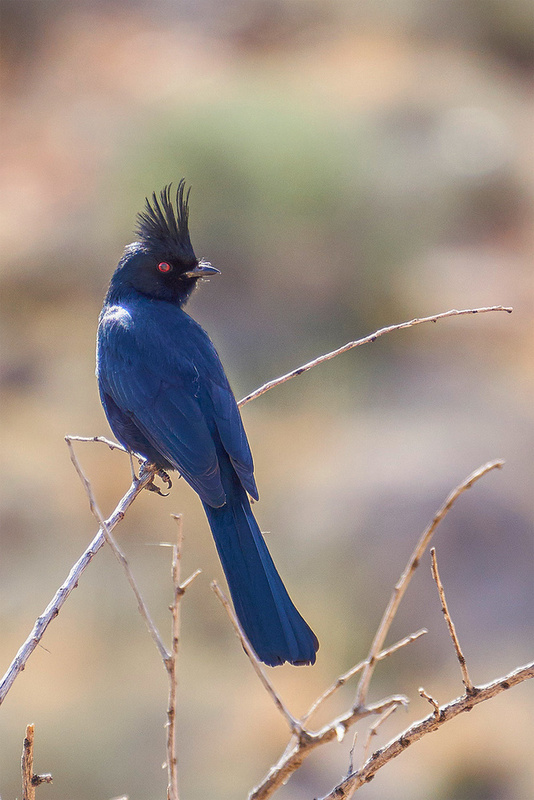 The Canon 7D can also do 8 fps continuous shooting which is good for fidgety perched birds as well as birds in flight. The lens is one-third stop faster on both ends of its variable aperture range compared to the Nikon and Sony lenses shown here. Cons: Like the Nikon DSLR, there's no optical image stabilization in either the body or lens. 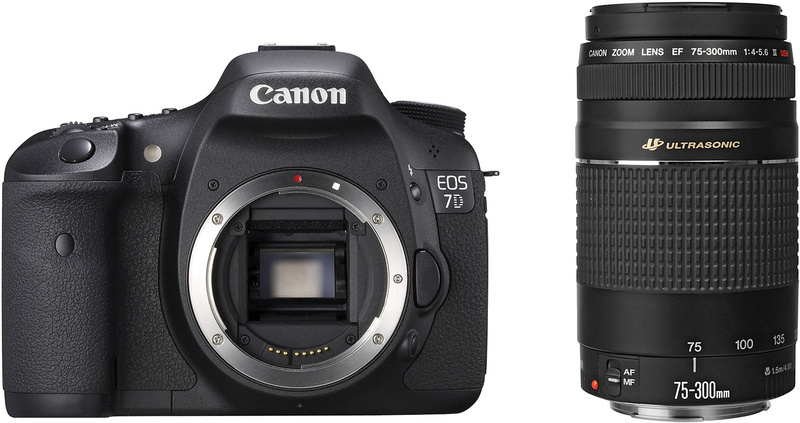 The 7D sensor is also falling toward the low end in terms of resolution, with only 18 megapixels to work with. Shot with the Canon EF 75-300mm f/4-5.6 III USM lens. Photo by Mark O'Leary via Flickr, used under Creative Commons. 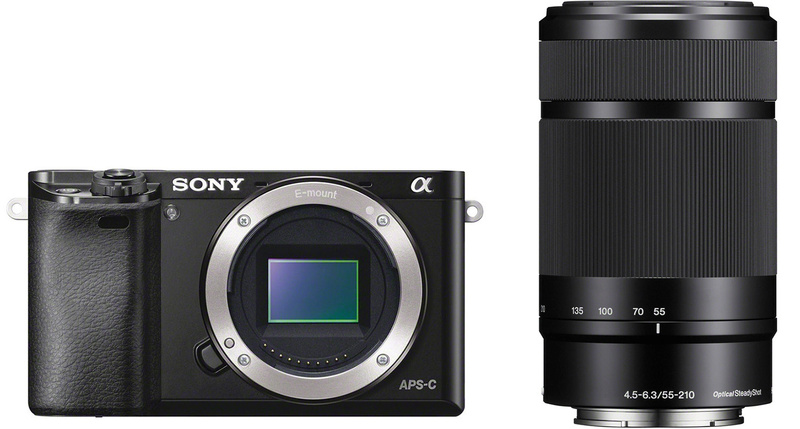 Pros: The 24.2-megapixel Sony a6000, like the previous two options, also has an APS-C sensor, and has a good number of megapixels to work with. The mirrorless camera is able to shoot up to 11 fps continuously which tops the charts in this comparison. Also a big bonus, the 55-210mm lens features Optical SteadyShot image stabilization. While image stabilization can't help with animals that are moving too quickly and giving you motion blur, it can help with subjects in low light that tend to pause their movements, like a deer or owl. Cons: The biggest downside to this kit is it has the most limited reach, sitting at only a 315mm equivalent at its most telephoto. Battery life will also be more poor than the previous DSLRs. Shot with the Sony a6000 and Sony E 55-210mm f/4.5-6.3 OSS lens. 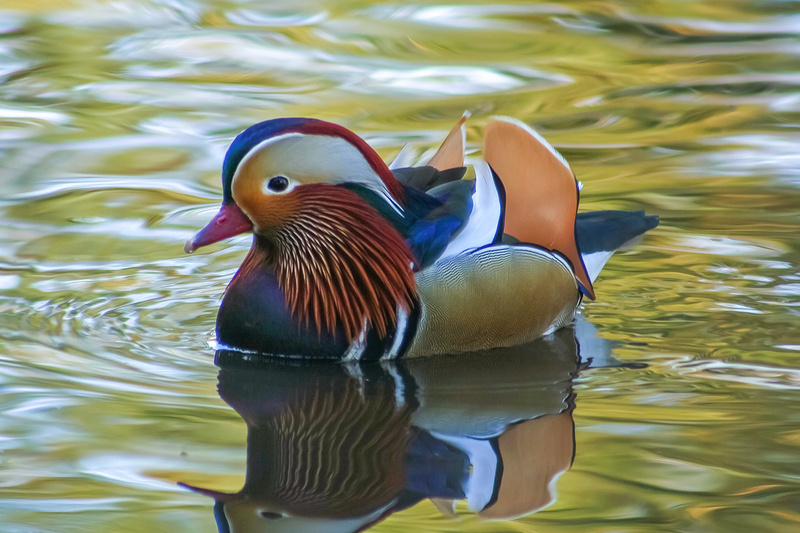 Photo by Kim Dung Ho via Flickr, used under Creative Commons. Pros: This is the only combination on this list that has image stabilization in both the camera body and lens for maximum strength low light assistance. Because the OM-D E-M10 uses a Micro Four Thirds sensor, the crop factor is 2.0x and the 45-200mm lens becomes 90-400mm equivalent. 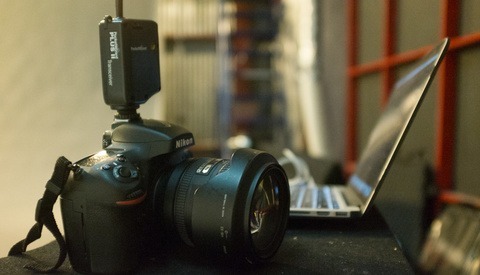 The mirrorless camera shoots at 8 fps for a good number of photos to work with in fast moving situations. Like the Canon, this Panasonic lens is one-third stop faster on both ends of its variable aperture range compared to the Nikon and Sony. Cons: The combination of the Micro Four Thirds sensor being smaller than the APS-C sensor of the other three, plus a comparison low of 16.1 megapixels, means image quality will likely degrade easier than the others if doing postproduction work. Battery life will also be more of a concern than the Nikon or Canon. 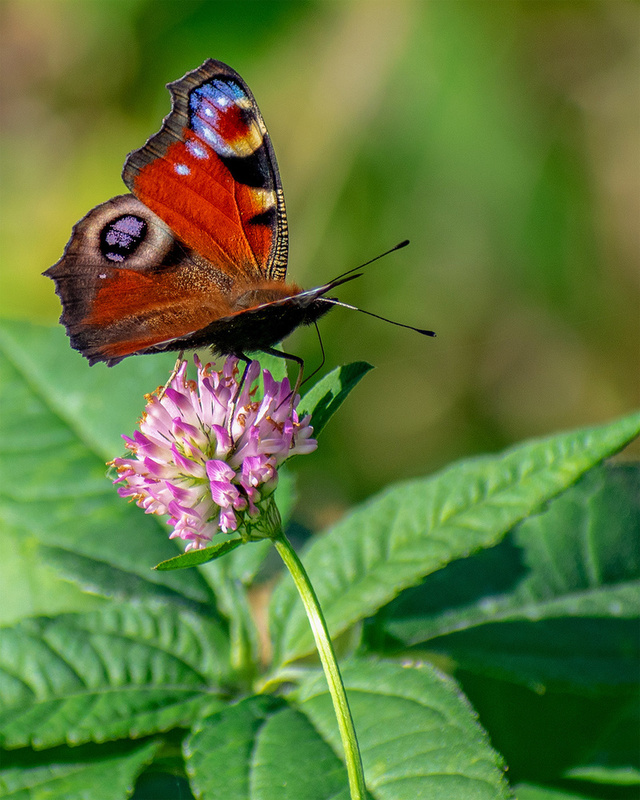 Shot with the Panasonic 45-200mm f/4-5.6 G Vario MEGA O.I.S. lens. Photo by Crosa via Flickr, used under Creative Commons. There we have four different camera and lens combinations that will put you on the right foot for capturing wonderful wildlife images. Remember to pick up a memory card for these, and as for the rest of the accessories, such as extra batteries, my advice is to wait. Test the camera setup in your hands for a while and see what you might actually be missing. You may find that you actually don't use up a battery as fast as you thought you would, and recharging just the one that came with the camera works fine. Try not to spend money where it isn't needed, and at this stage try and let go of the thoughts of gear acquisition altogether. Right now it's about exploring the craft of photography and learning all about wildlife subjects, not about what upgrades come next. When you need to upgrade or add more to your kit, you'll know it. This article is poorly researched, as the first thing one would find online about the Canon 75-300mm is that it is a terrible lens- on top of that, it is a full frame lens mounted on an APS-C camera which means pictures will look even worse. Instead, the author should have recommended the Canon 55-250 IS STM, which is a surprisingly sharp optic given it's price even if the body has to be downgraded to, say, a T6i to make it fit under $500. Wondering why you would say using a full frame lens mounted on a apsc camera would make the pictures even worse? I’ve used a 7d2 with my 600/4 and 70-200 2.8 and the pictures looked great. The center of lenses are typically the sharpest and that’s the part the apsc sensor uses. I totally agree. The EF 75-300 is sluggish to AF and soft. The EF-S 55-250 IS STM is outstanding for the price. Very sharp, reasonably fast silent AF and has IS too. Much better choice. Crop sensors are only using the center of the lens so it magnifies any imperfections. Very minor and hardly noticeable. That sounds like an issue with the sensor and image enlargement, and would happen regardless of lens format. I'm just getting into wildlife photography using a Canon EOS SL2 with 24mp mated to the EF-S250 IS STM and very happy with it. The combination is light and compact making it easy to use in the field. Nearly silent AF with IS makes it a joy to use hand held.